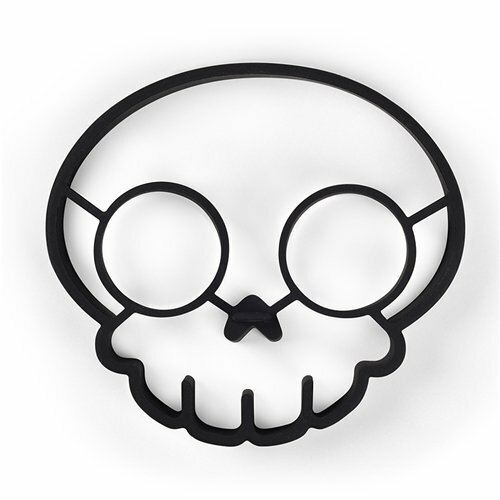 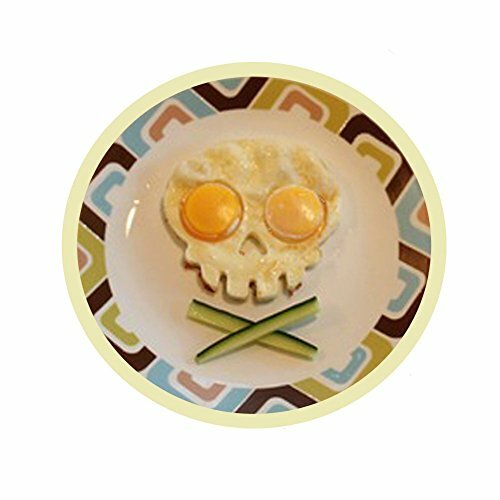 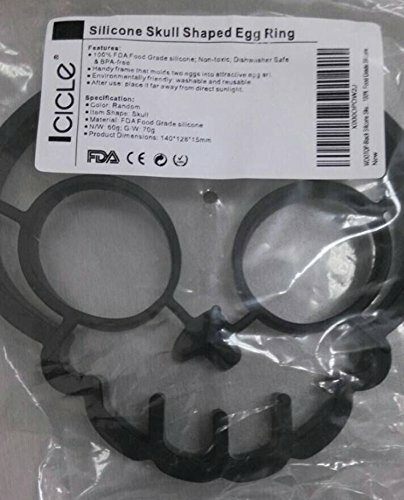 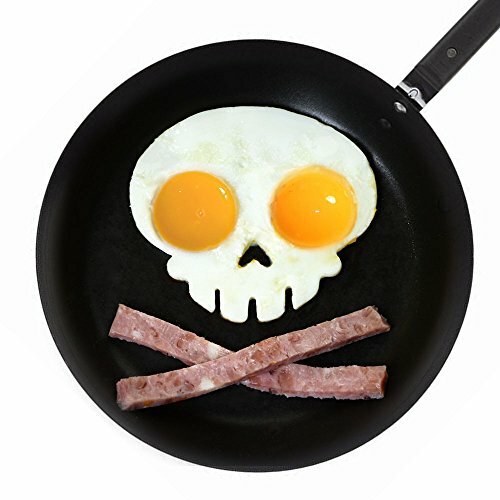 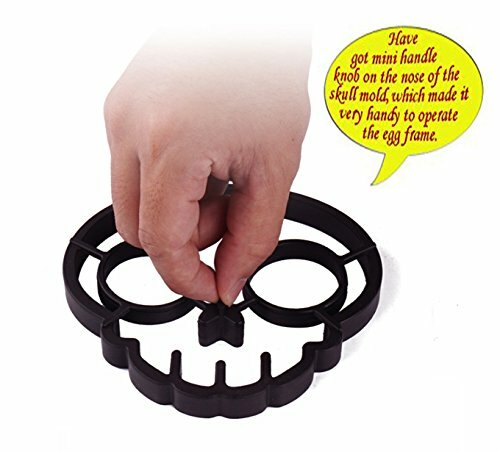 WOOTOP Black Silicone Skull Shaped Egg Ring 100% Food Grade Silicone | SleepyChef.com | everything breakfast! 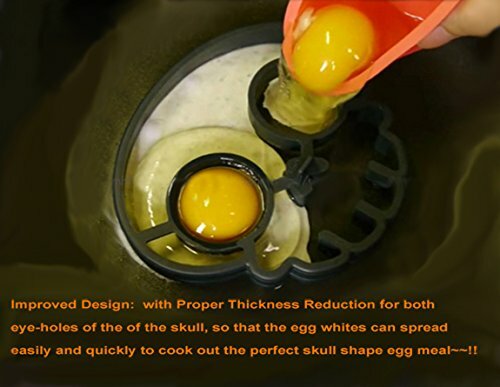 Made of durable and long-lasting 100% FDA Food Grade silicone; Dishwasher safe & BPA-free. 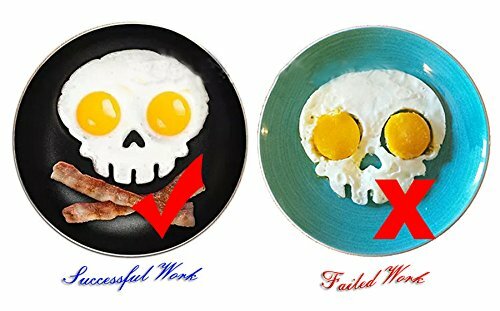 Funny Side Up is a handy frame that shapes and molds two eggs into attractive egg art. 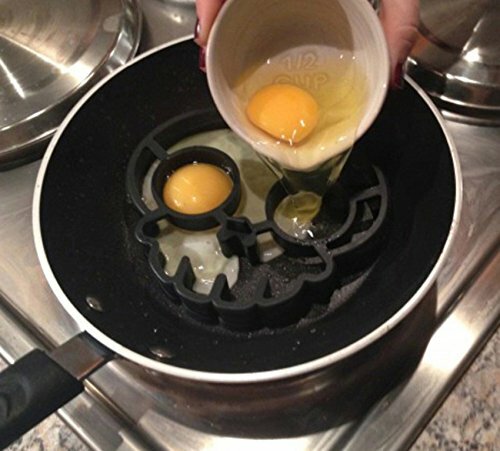 Just place the mold in your frying pan, crack two eggs into the rings, and soon you'll have a breakfast buddy to hang out with! 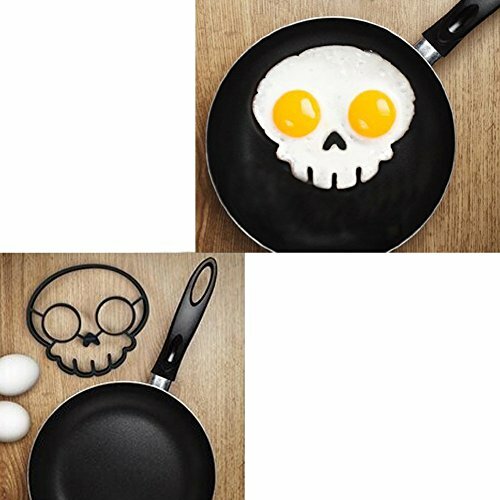 Black Silicone Skull Shaped Egg Ring 100% Food Grade Silicone.